The L.D. 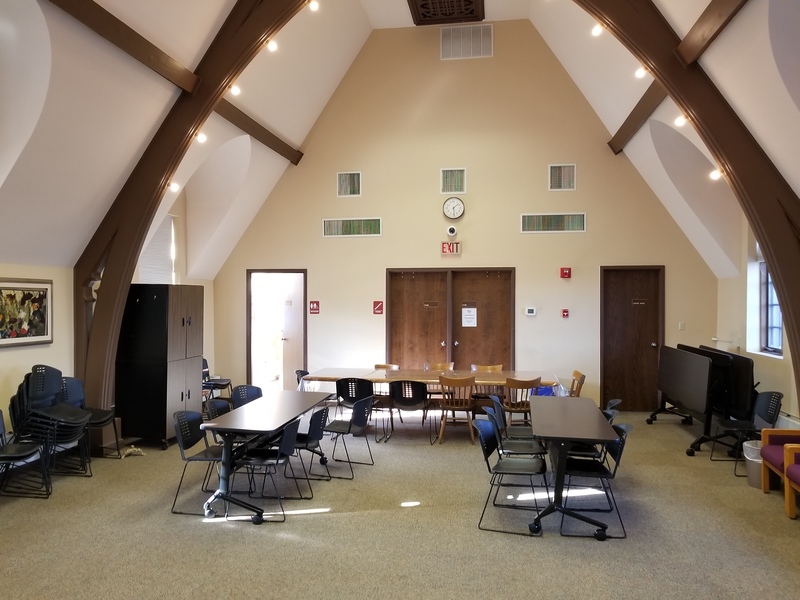 Fargo Library has meeting space available in the Library Hall on the library’s second floor. Library Hall is 25’ x44’ with a stage (11’ deep x 14’ wide), kitchen and rest room. There is one wooden conference table and six flip top tables. There are 40 stacking chairs. The piano is available for recitals or practice time. 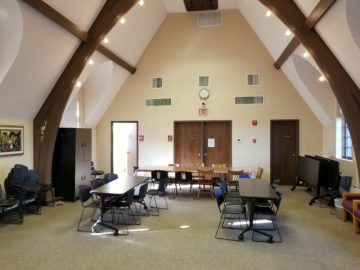 Panoramic of Library Hall (meeting room). Folding table assembled. 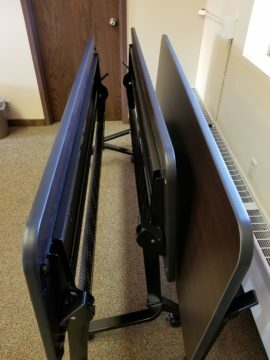 Fits three chairs for each long side. 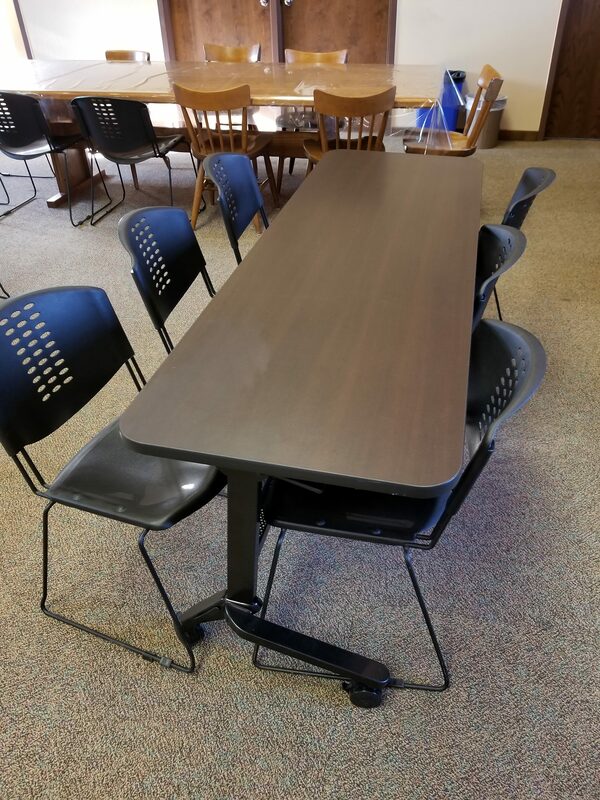 Three folded and nested tables. Conference Table. Eight feet long. Conference Table. Approximately 1.3 Library Directors long. 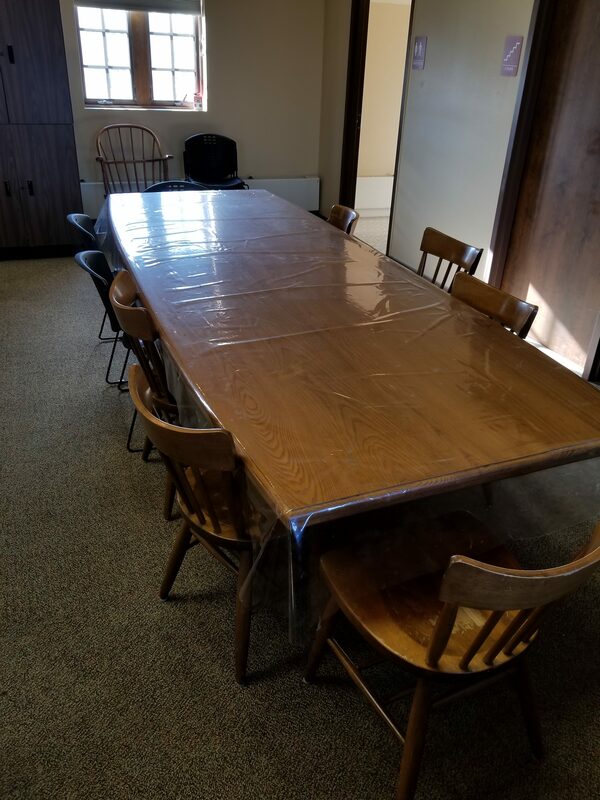 The meeting space is available after hours but users must fill out our Meeting Room Application For After Hours Use form. The library’s East side door is used for after hours entry and exit and users can check-out a key to lock the building. Please contact the library three days prior of a reservation request to ensure response and confirmation. No advance reservations beyond three months. 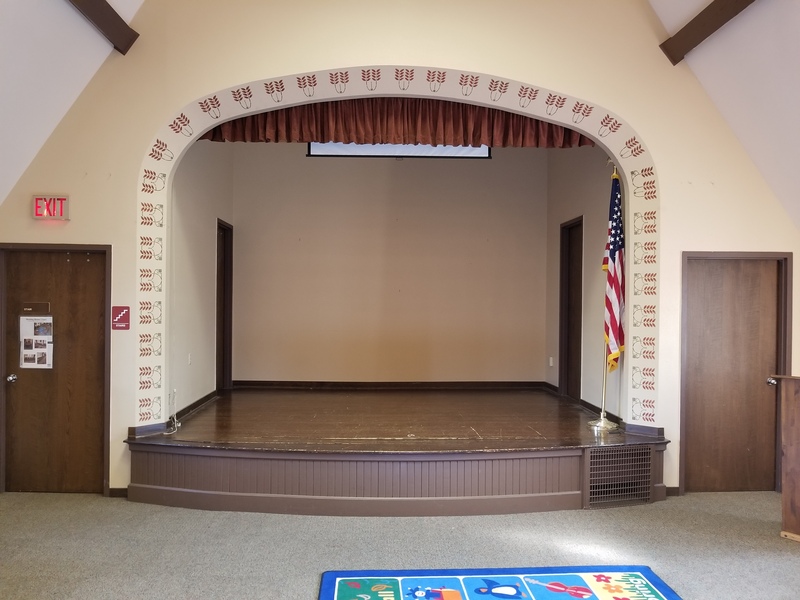 Click here to view meeting room and events calendar.